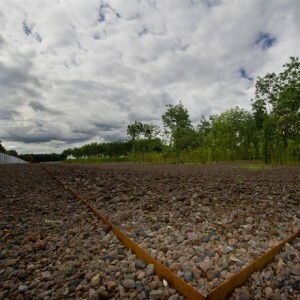 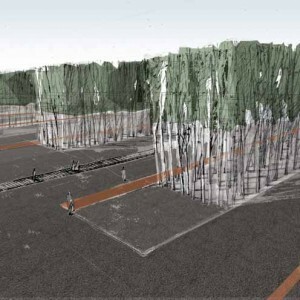 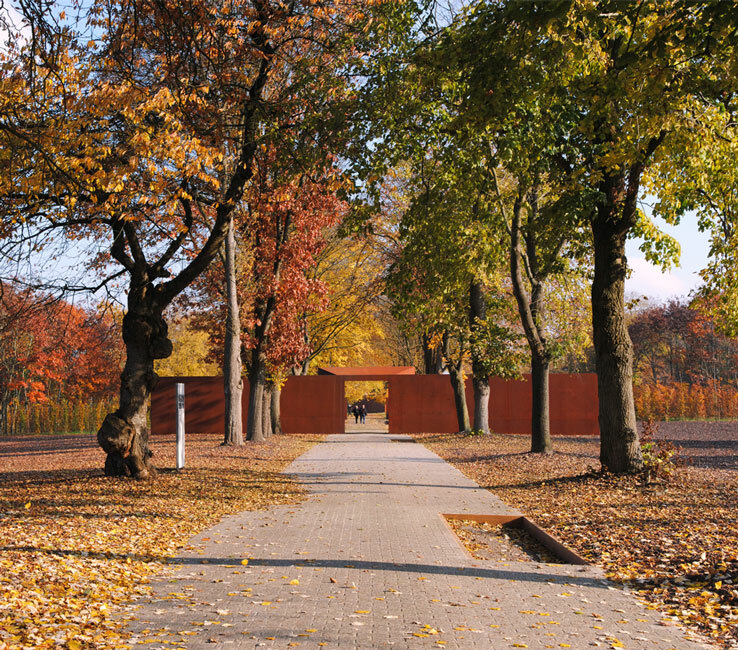 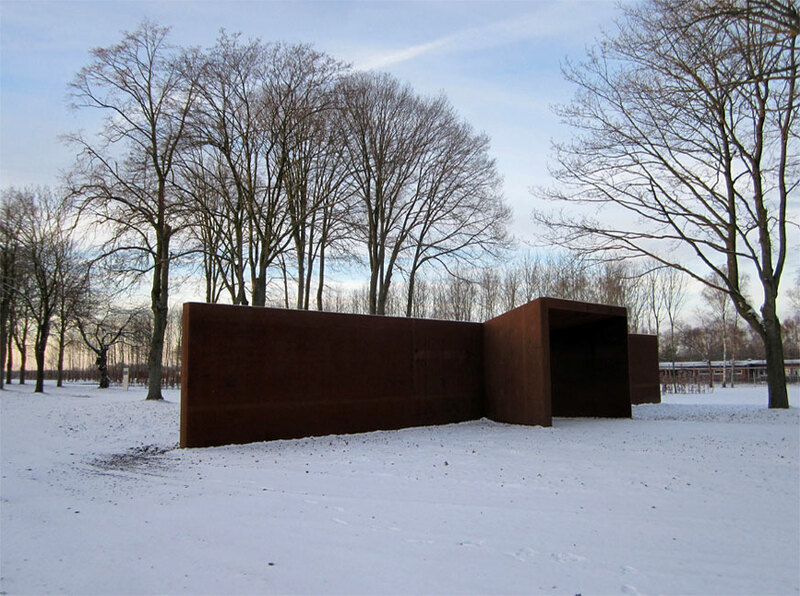 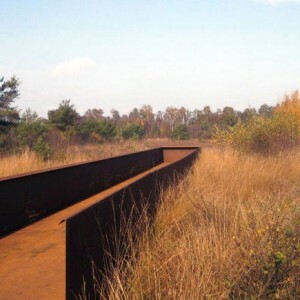 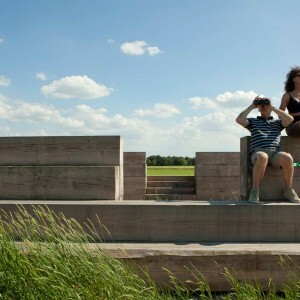 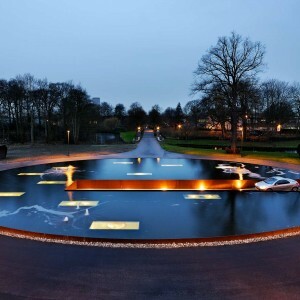 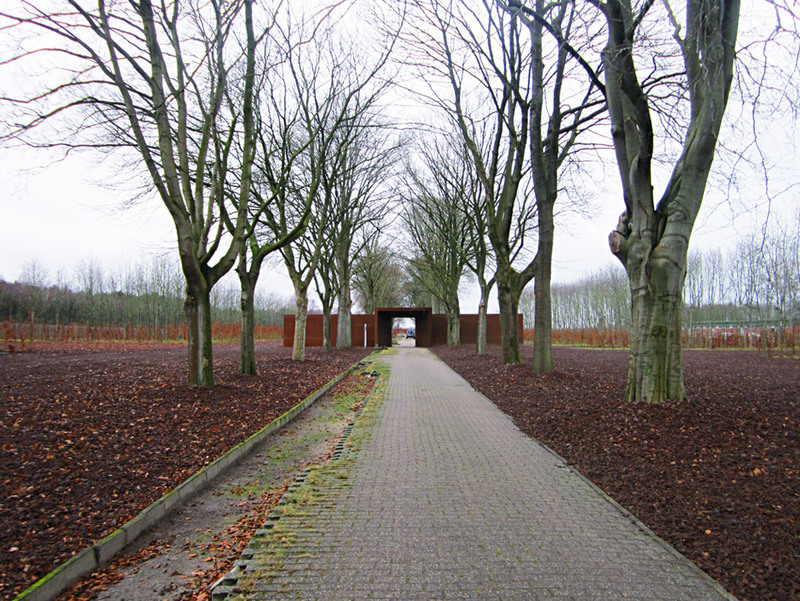 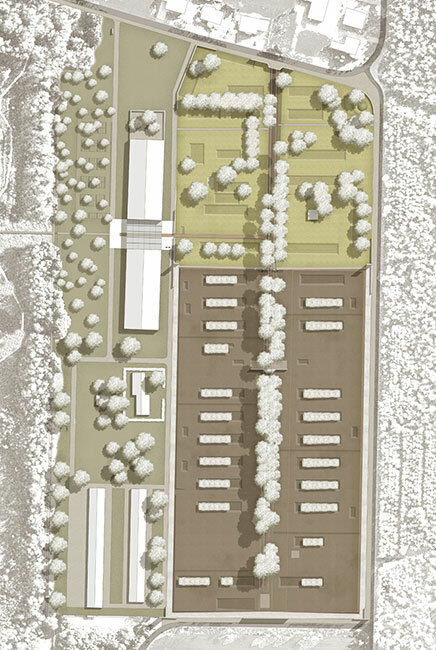 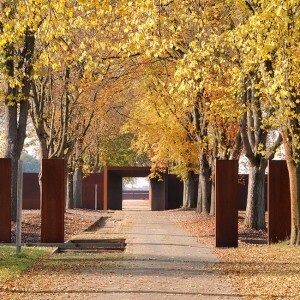 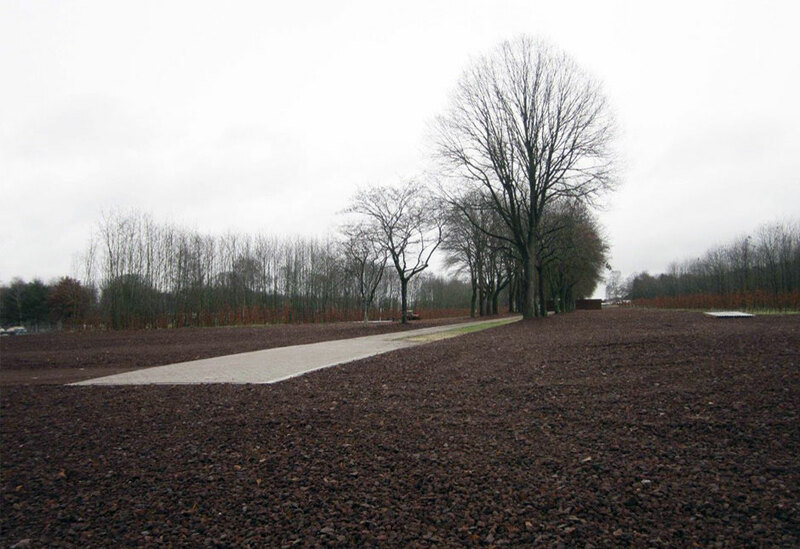 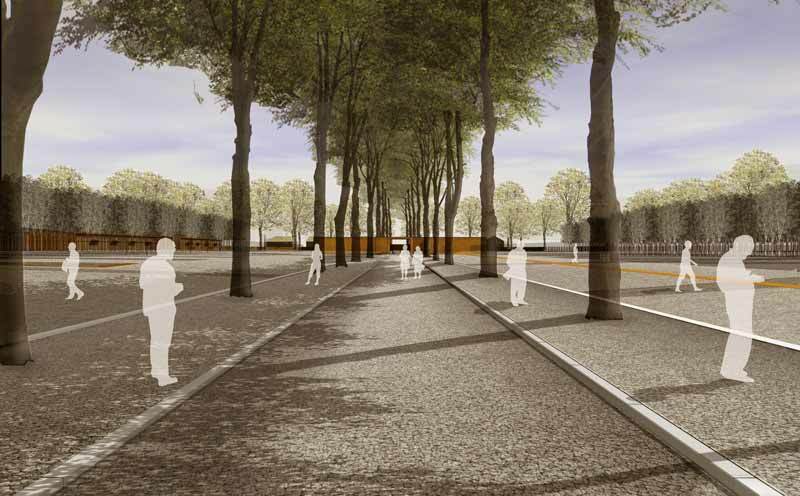 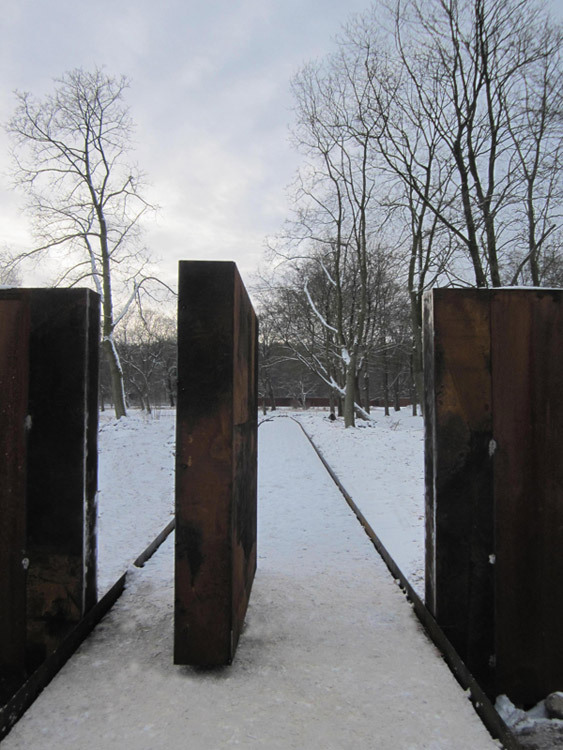 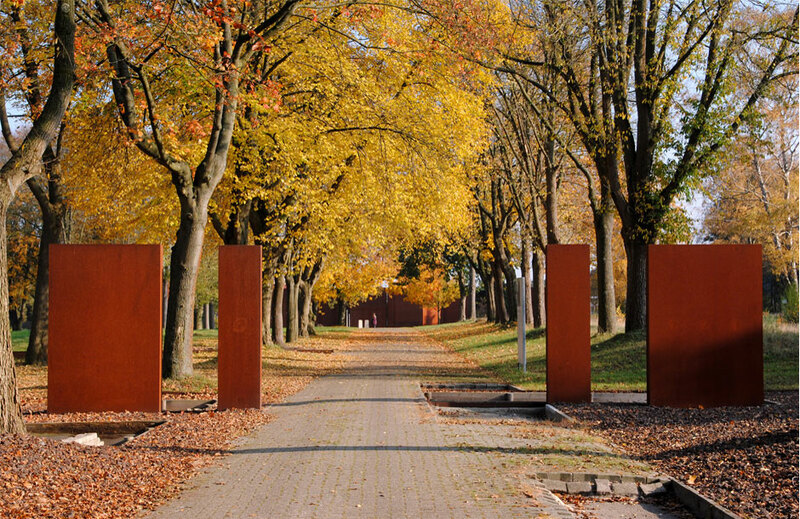 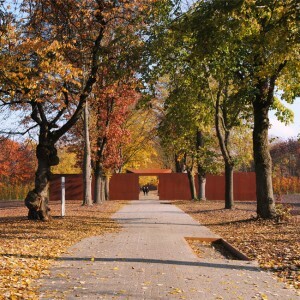 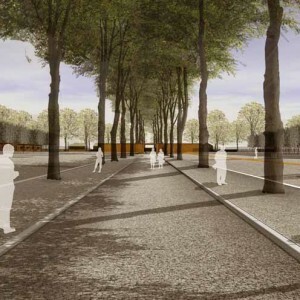 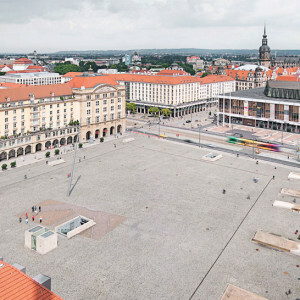 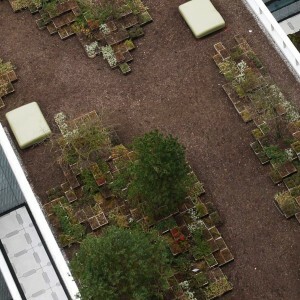 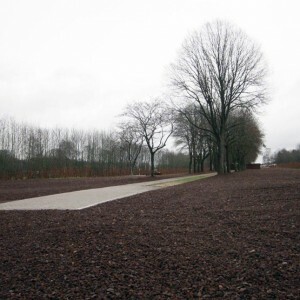 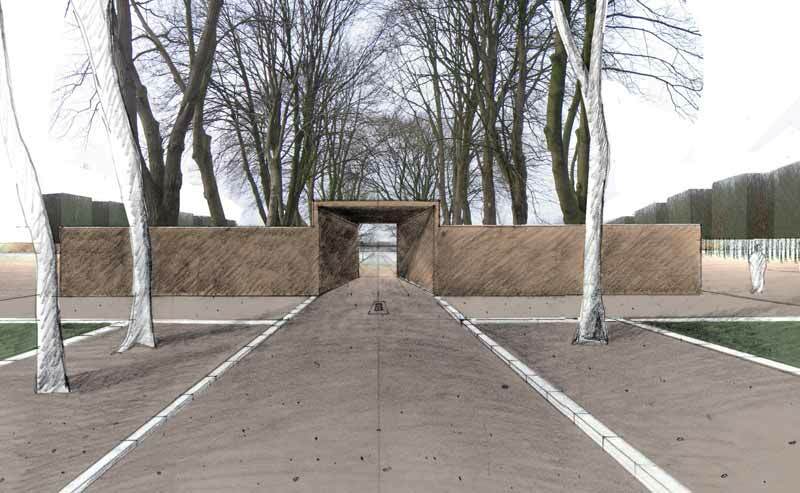 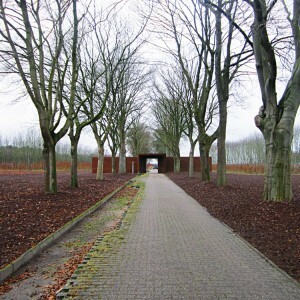 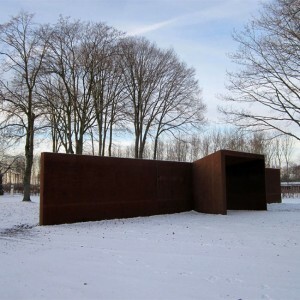 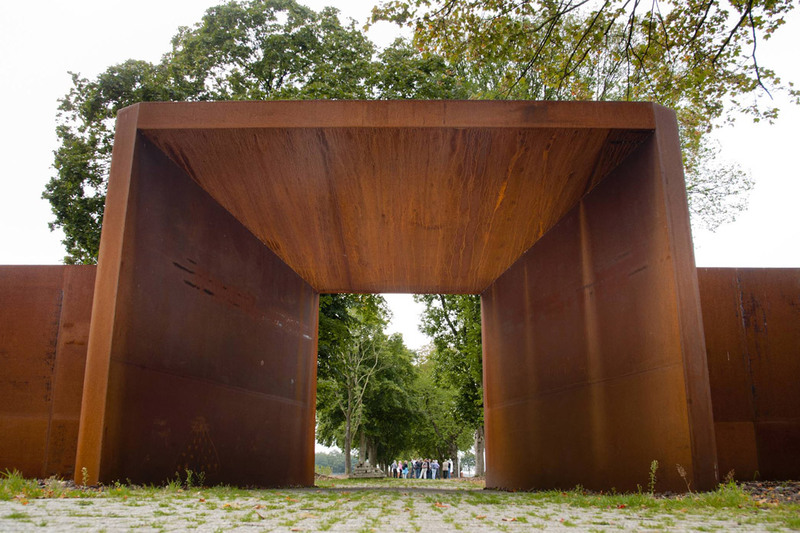 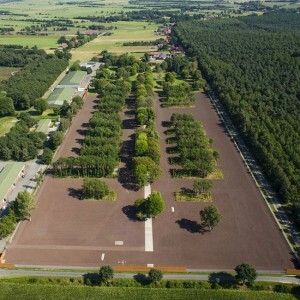 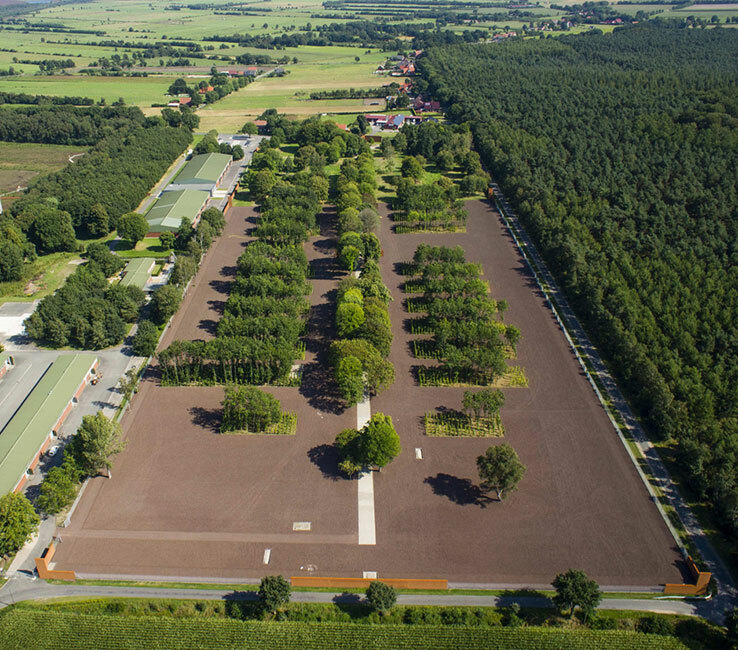 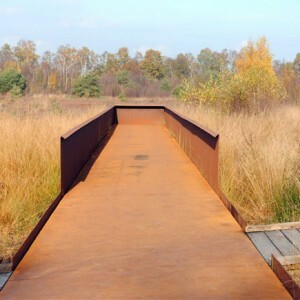 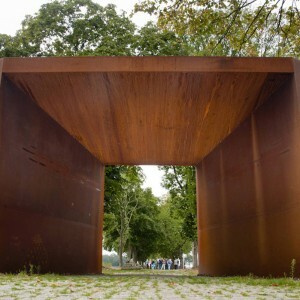 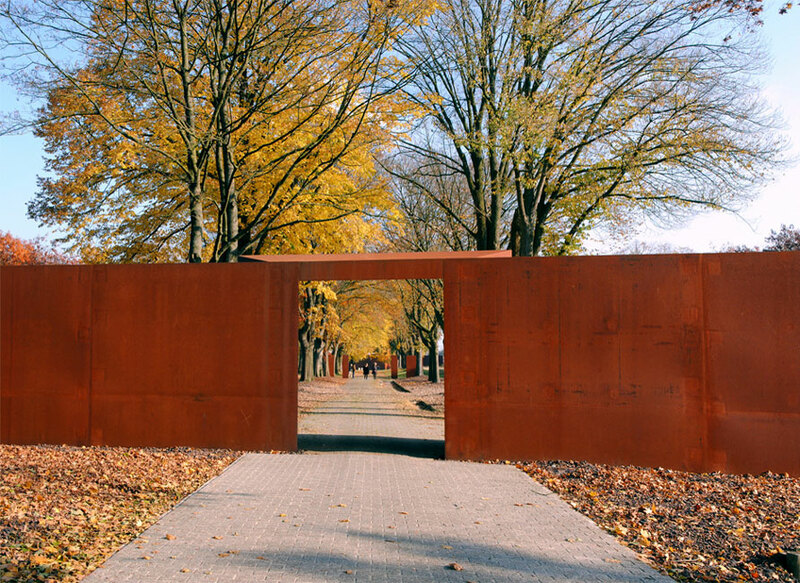 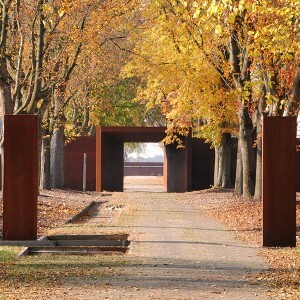 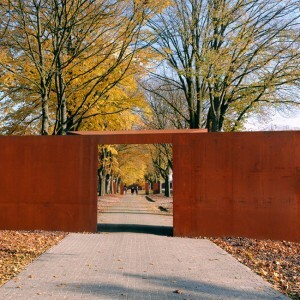 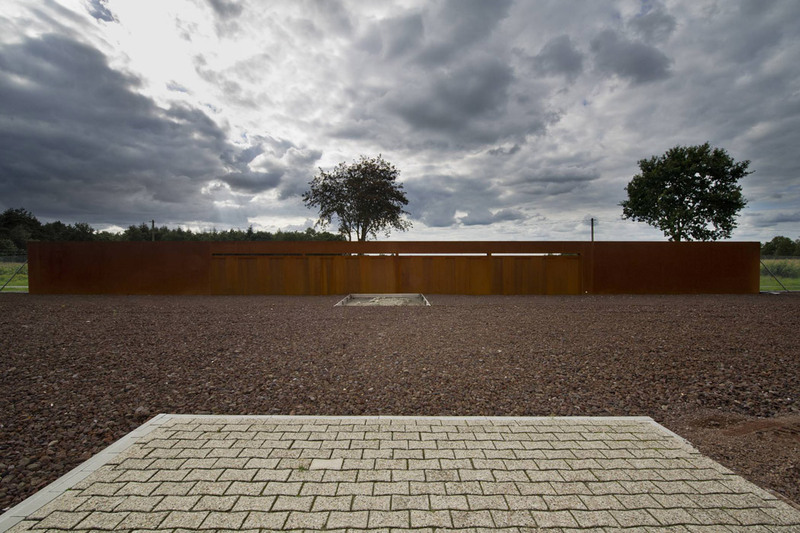 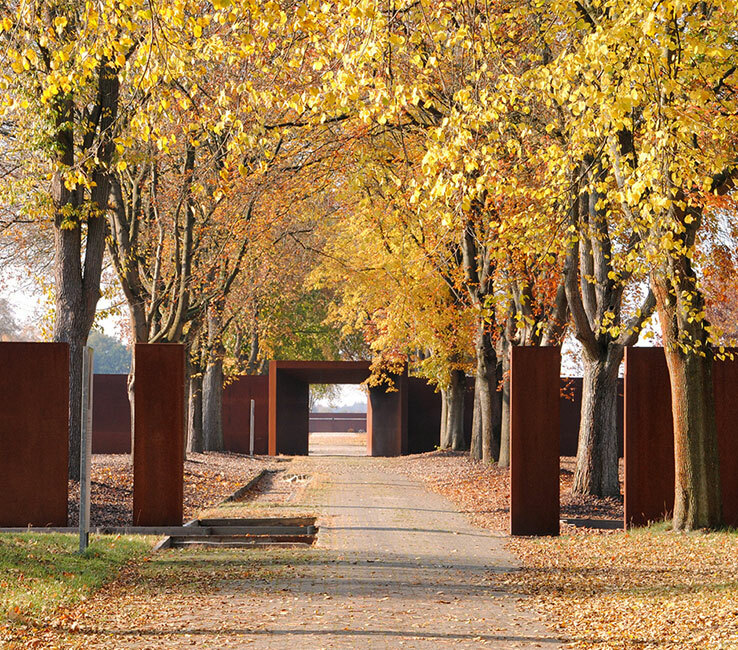 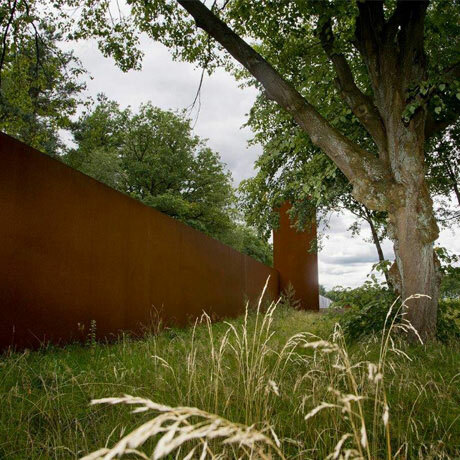 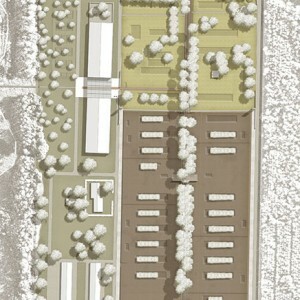 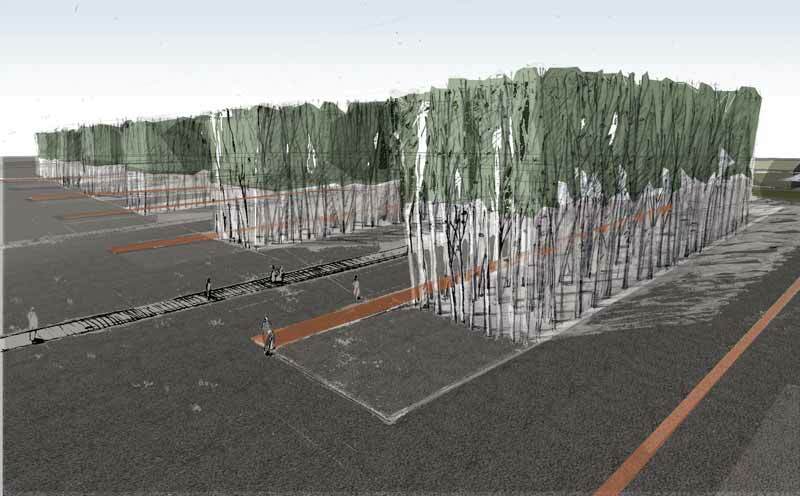 WES Landscape Architecture: On the site of the concentration camp Esterwegen, built in 1933, a memorial was set up in memory of all fifteen camps in the Ems region and their victims. 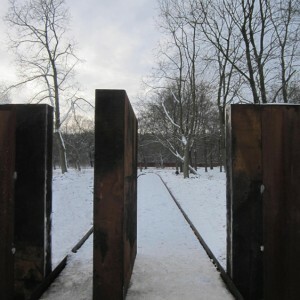 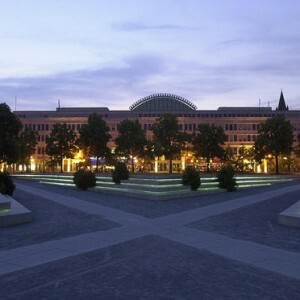 None of the above-ground construction elements were still standing. 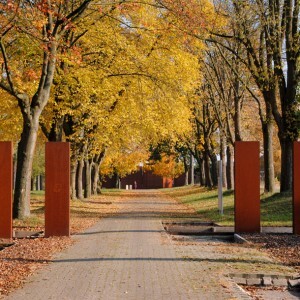 For this reason, “tree parcels”, with the dimensions of the former barracks were cut out of the red oaks planted in the fifties. 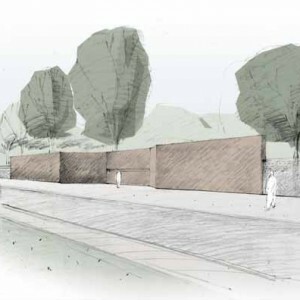 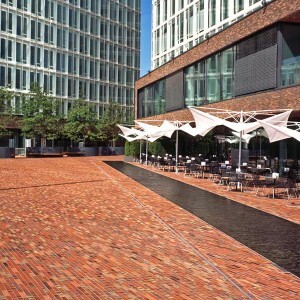 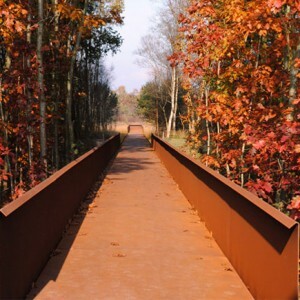 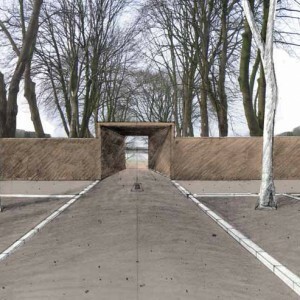 A contrast to this almost park-like scenario is formed by the gravel covering of the entire area that once housed the prisoners, the bulky silhouettes like paper cuttings, high walls made of Corten steel, an interpretation of the watchtowers, the course of the wall and the gates. 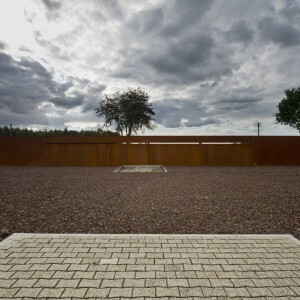 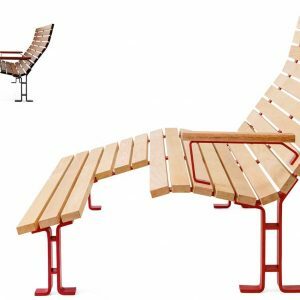 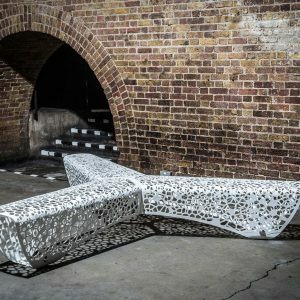 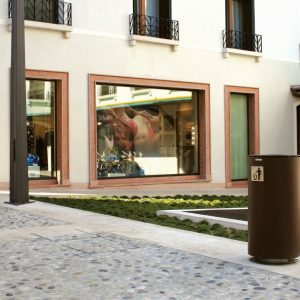 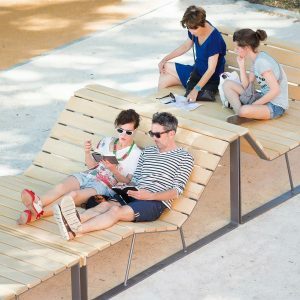 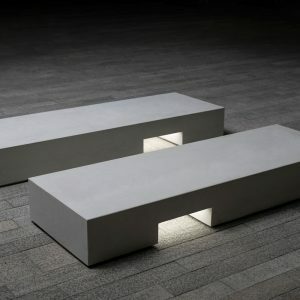 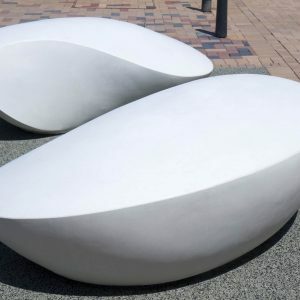 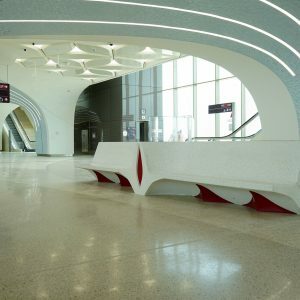 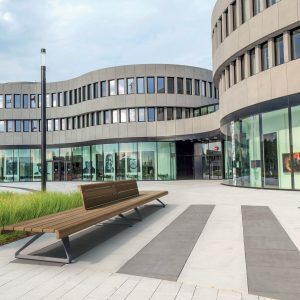 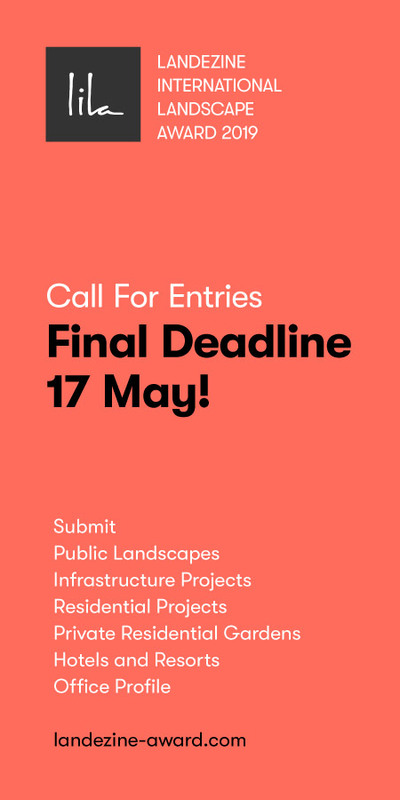 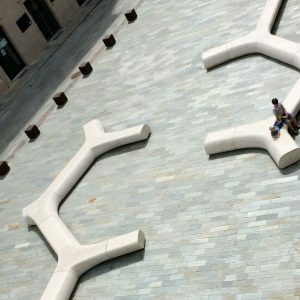 A place for “active” recollection has developed, which encourages the visitors to allow the history and the topography of violence, threat and destruction to evolve in their imagination, while also relating this to the present.